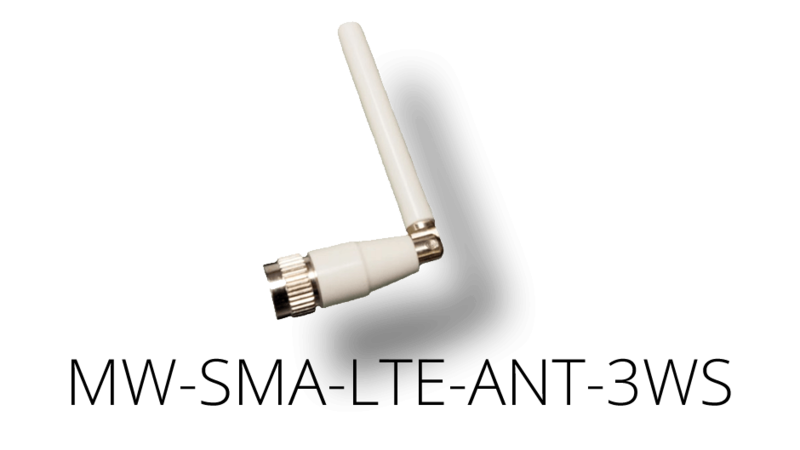 Our Maxxwave LTE swivel antennas have a SMA male connector and is designed for indoor use. These antennas swivel 180degrees for use at any angle. These antennas are perfect for the Maxxwave 4G LTE Embedded M2M USB Modem (SKU: MW-4GLTE-MDM-7700), Option CloudGate Global M2M Router with Embedded Multi-Carrier 3G Modem (SKU: CG0192-11897), or other compatible LTE SMA connected devices.